Did you know that more than 45 million Americans suffer from hearing loss? Hearing loss is more common than most individuals think and, unlike the most common stigma, it doesn’t just affect the elderly population. Hearing loss can occur in individuals of all ages and, the older we get, the higher the chance we have of developing it. After all, while there are many causes of hearing loss in both children and adults, the most common cause of hearing loss is aging. Despite the high prevalence of hearing loss, many Americans today are able to enjoy a life full of sound thanks to hearing advances. Today’s hearing aid market includes incredibly advanced technology that will improve your ability to hear comfortably. Almost 9 million Americans take advantage of the assistance hearing aids offer in an effort to lead social, successful and happy lives. After all, living with undiagnosed hearing loss can be detrimental to one’s health and is associated with issues like cognitive decline, depression, social anxiety and isolation. At Mountain-Ear Hearing Associates, we want to ensure you’re living your best life. 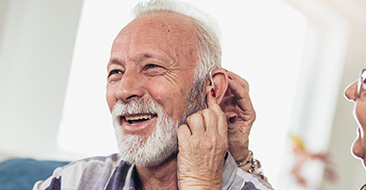 Our hearing instrument specialists focus on educating you on how well you can hear and provide expert advice regarding what equipment would best enhance whatever type and degree of hearing loss you may have. We see patients of all ages and specialize in treating hearing loss as well as tinnitus. In addition, we specialize on BrainHearing technology. BrainHearing technology is proven to help those with hearing loss better than regular hearing aids. The technology helps your brain understand more without necessarily having to work more. BrainHearing technology processes more sound, enabling the user to hear more sound, more clearly, without having to work harder. The technology is composed of three components that provides super speech recognition, locates the sources of sounds and enables better understanding and retention of softer voices. 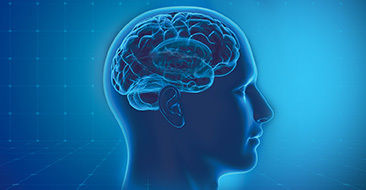 BrainHearing technology can be customized to meet the unique needs of a patient’s type and degree of hearing loss. 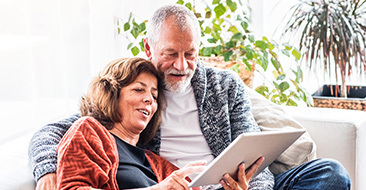 Mountain-Ear specialists will give you individualized attention to determine the solutions that best meet your needs to integrate speech comprehension back into your life taking into account your expectations, your lifestyle and your budget. We believe it is important to provide our patients with full circle service, which is why we are available through your entire hearing aid journey. If you are interested in learning more about BrainHearing Technology, contact us today for an appointment and a free trial.